The B12 had rarely seen one-piece driveshaft, this one in Ralph de Masi’s car. It is well accepted that Aurelias came with two styles of driveshafts – the first type (s. 1-4) was a two piece shaft with rubber “spyders” and aluminum paddles. 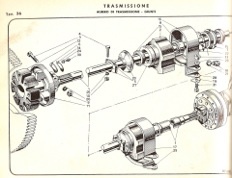 The second type (s. 5-6) was also a two piece shaft with hexagonal doughnuts and larger driveshaft tubes. It was used in the Flaminia also and is similar to that in later Alfa V6 cars and the Porsche 924-944. 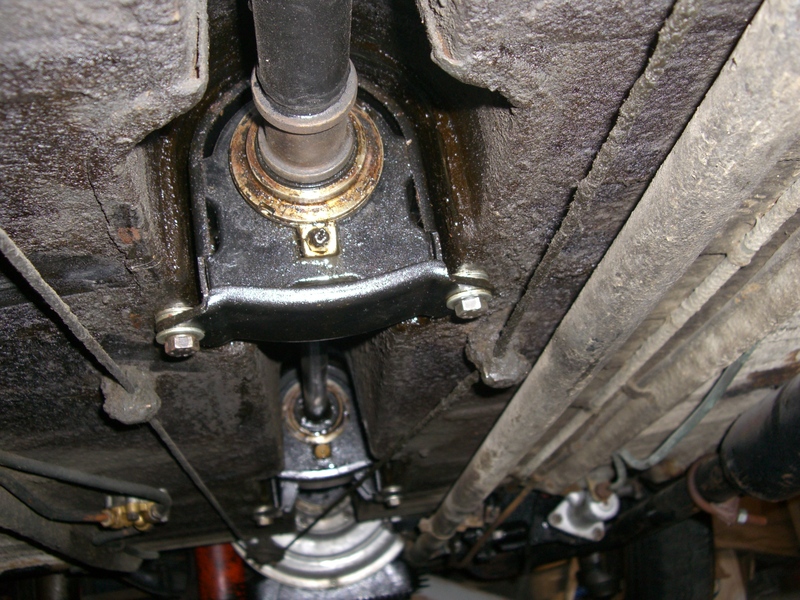 A more complete article has been posted at: driveshafts (1.12). 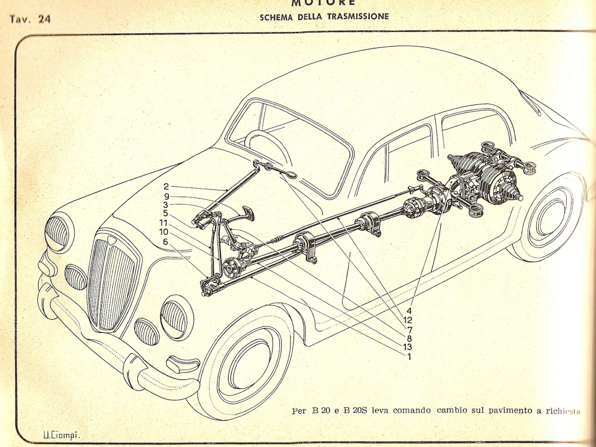 There was yet one other driveshaft, a third type, used in the Aurelia – the B12 had a totally different driveshaft, a one piece shaft running from the engine to the transaxle. It also had two centering rubber mounts instead of the more typical one used in the split shaft. Of course, not all B12s were like this – the earlier ones were different – as this was used on the later ones. And to be complete, the early driveshafts with the rubber spyders varied also, as the first group (I think B20 s. 1-2) had paper thin bushings to center them in the shafts, and later ones had more solid bronze bushings about 2mm thick. Not interchangeable. Do the words “constant development” apply here?